Set of 6 appliques, made from quality cotton fabric, with an iron on backing. 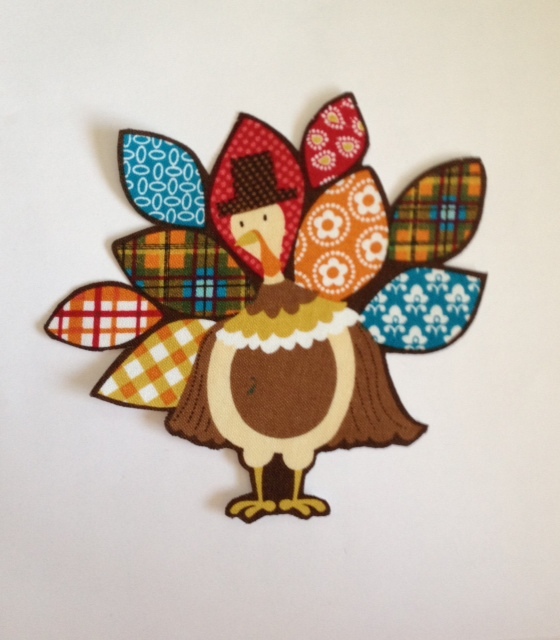 These would make adorable Thanksgiving t shirts, sweatshirts, placemats, baby bibs....or decorate pillows, dish towels, wall hangings... etc. etc. each is about 5" x 5"